So there I was, lying on the surprisingly narrow operating table, with a warm blanket covering my shivering body. Nerves, I tell you. I was full of them. The surgical nurse, in hopes to calm me I think, asked what I do, so I told her and she proceeds to tell me that she's afraid of cooking, and most nights her dinner comes out of a box. Like the macaroni and cheese kind. So while the resident anesthesiologist was making a mess of my left hand, trying to find a vain to insert the IV, I tell her what I tell everyone else who admits to being afraid of cooking: start simple, find a good recipe, take your time and have fun. Oh the irony. I'm about to be cut open and ripe with fear, telling this kind nurse not to be afraid to make food from scratch. I don't think I convinced her, but I welcomed the distraction. Finally, the head anesthesiologist took over, IV successfully inserted, and the last thing I remember is Bruce Springsteen singing Racing in the Street. I took that go be a good omen. Next thing I knew I was waking up in absolute agony, asking what time it was (11:00am), what the nurse's name was (Sonia), and what kind of pills they were popping in my mouth (Tylenol). Then I asked for my mom. Funny how you can be all grown up and still only ever want your mom. Three hours later, once I wasn't seeing double any longer, I was released in my mom's care and home we went. And that my friends, concludes my surgical story. 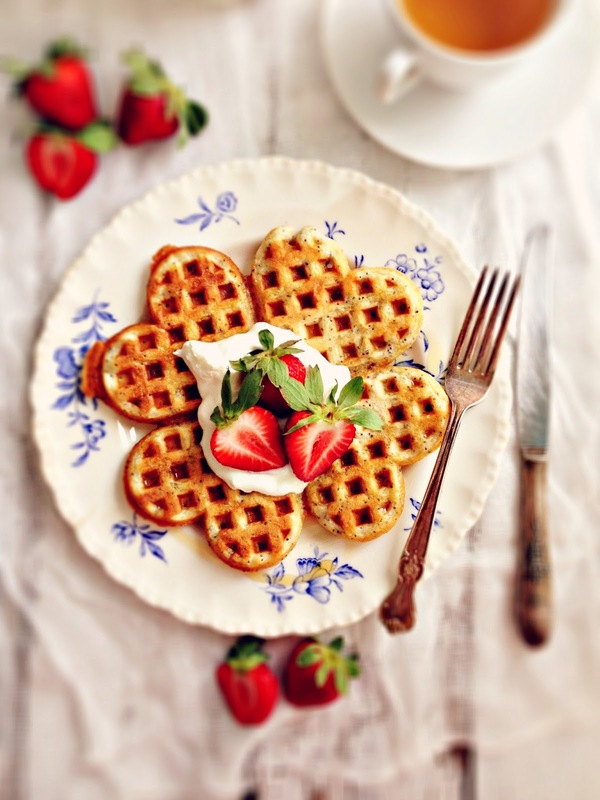 Hope you still have an appetite for waffles! 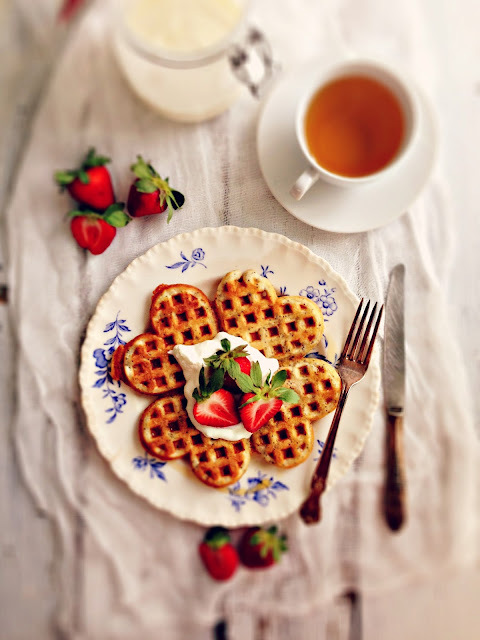 I made these waffles weeks ago, but they are still stuck in my mind. In fact, they are waffle perfection. The addition of cornstarch gives them a wispy, crispy exterior, and the buttermilk lends them a requisite tenderness. Lemon zest and poppy seeds take the flavour up a notch, and all that is needed now is butter, but of course, and maple syrup, fresh strawberries and a dollop of tangy crème fraîche. There is nothing better than a waffle pocket, bursting with butter and syrup. So simple in their preparation, I've no doubt the surgical nurse could execute these waffles perfectly. So something else also happened this past week. I turned 40. Like, 40 years old. I know. I don't know how that happened either. The situation was sub-optimal. I mean, my belly was full of stitches and my mobility not that great. There were the makings of a pity party in place, believe me. Good thing I have truly great friends who were not about to let that happen. There was a slew of phone calls, messages, parcels stuffed in my mailbox and beautiful flowers delivered to my door. A few of us gathered on my patio and had cake and champagne in the sunshine. I crawled into bed that night, ever so gingerly, with a heart full of gratitude. I'm beginning to really get that each birthday is a gift, and this one ever so precious. Combine the dry ingredients in a large bowl. Beat the buttermilk, melted butter, egg, lemon zest, sugar, vanilla in another and pour into the dry. Stir well. Let stand for 30 minutes, then prepare waffles according to your machine's directions. Serves 2-4, depending on the appetites. You can always make a double batch and freeze them. 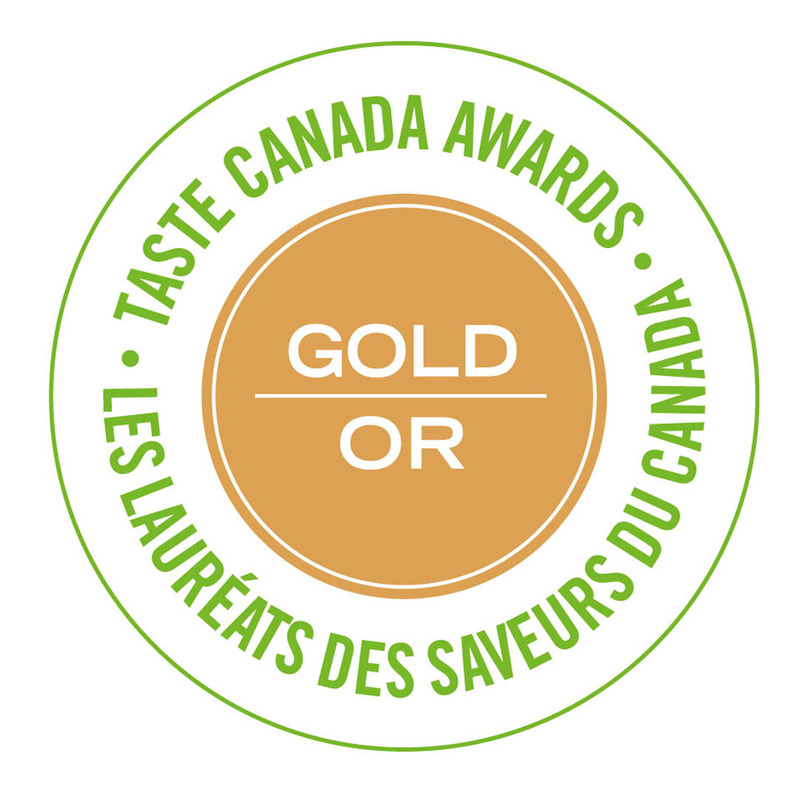 Serve with butter, maple syrup, fresh fruit and crème fraîche. Recipe adapted from Food 52 and Aretha Frankenstein. 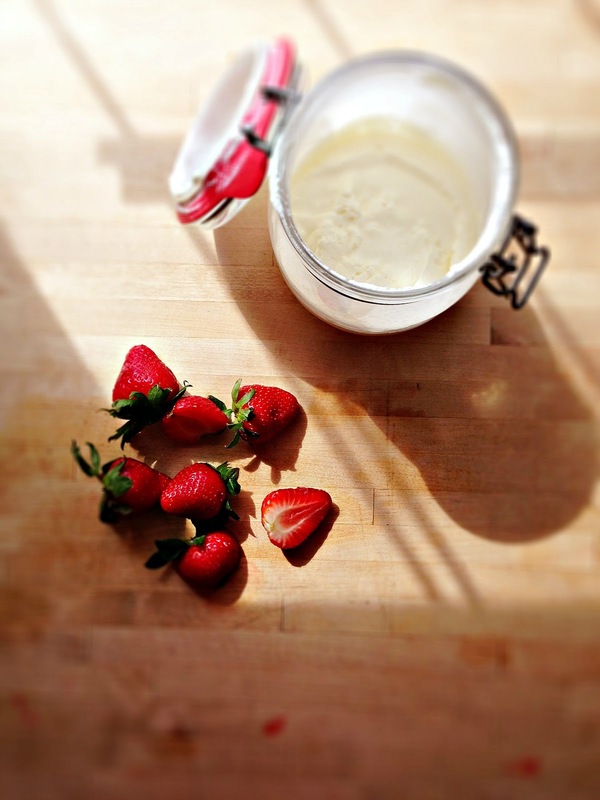 In a jar, shake 1 cup whipping cream with 1 tbsp buttermilk. Let stand on counter for up to 2 days, until desired thickness reached, then refrigerate up to 1 week. My dear friend Kim made me the most beautiful birthday cake. Almost too pretty to eat. Almost. So happy to hear you are on the mend. It doesn't sound like the best of experiences but you came through it okay. Your waffles look delicious, and I can't wait to try them! 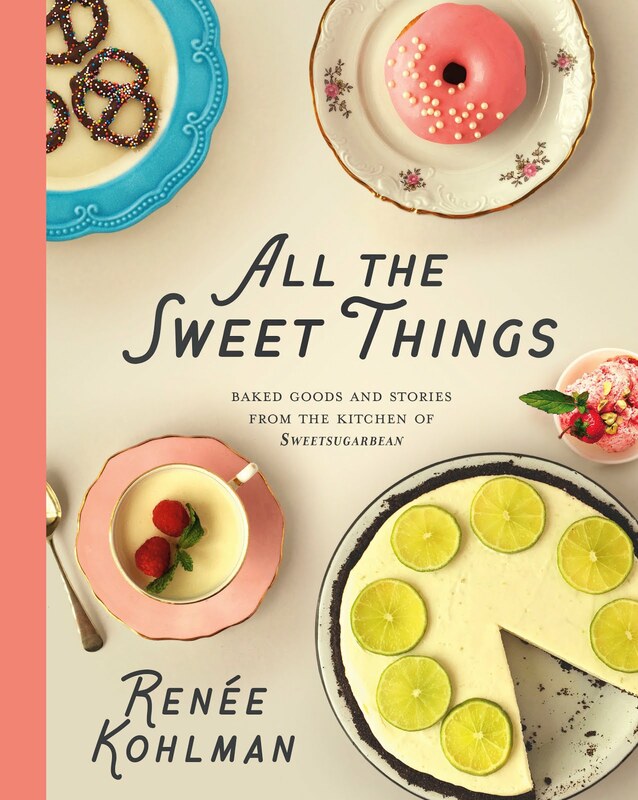 I just simply love your blog Renee! It always brings a smile to my face! I'm glad the surgery went well and you are recovering with some delicious looking birthday cake and some bubbly! No better way to celebrate a birthday AND a successful surgery! So glad that you are on the mend! It's crazy that the body can be cut open and poked around in, then it heals itself up. Stephanie, the human body is pretty wild, isn't it? Thank you! So glad to hear you are on the mend and belated birthday wishes. I'm pretty sure 40 is the new 30, so you're still a youngster ;)I'll be trying those waffles this weekend, too. Happy belated birthday and glad you are recovering well. I just wanted to say I love your photography! Gorgeous! Happy Birthday Renee! I adore waffles and still haven't found any maple syrup over here in Ireland, a situation that must be rectified! I'm glad you're recovering well from your surgery. In my former life I was a nurse, and I've seen those surgeries, always thinking, DAMN, that person is going to be sore tomorrow! Just because it's laparoscopic doesn't meat it's no big deal. I'm glad you're following doctor's orders and taking it easy. Take care! Yay! Glad your surgery went well. Enjoy your down time and catch up on all the crappy daytime TV without guilt. Life is always so busy so try to look at this imposed rest as a blessing. Happy belated birthday! Glad everything went well and you're on the mend! 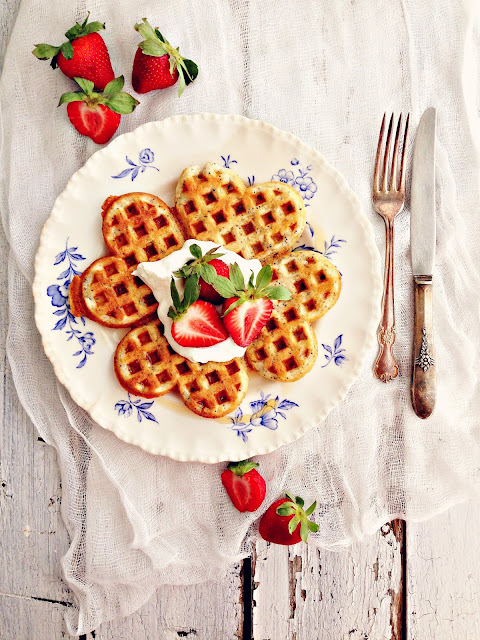 And happy birthday - I joined the 40 club a coupla months ago too :) the waffles look so pretty - a perfect spring breakfast! These look absolutely gorgeous, your photos are beautiful! 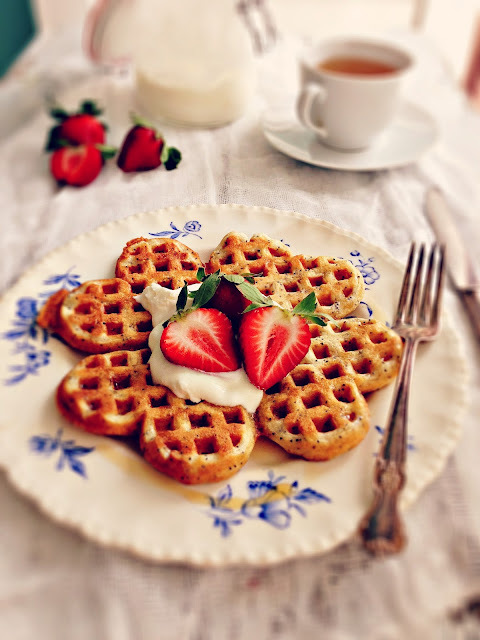 I really love the sound of lemon waffles with creme fraiche - yum! Happy belated birthday too, glad your surgery went well. 1. So glad you are recovering! 2. That cake is adorable. 3. Those waffles are the prettiest waffles I've ever seen. Movita - you are adorable. I think I'm gonna have fun in this club.